Commercial and residential asphalt paving is one of the cornerstone services offered by Advanced Site Contractors. With over 25 years in the business, we have become a premier provider of asphalt paving services in New York City (Staten Island, Brooklyn and Manhattan) and New Jersey (Central and Northern NJ) due to our extensive background and exceptional asphalt paving results. Asphalt paving is one of the most cost effective ways to improve a site’s curb appeal and to keep areas safer for drivers and pedestrians. Asphalt driveway repair, resurfacing and replacement can also increase property values. At Advanced Site Contractors, we are experienced asphalt paving contractors that are dependable and fully insured. We utilize our own forces for all work performed, and since no work is sub-contracted out, you can count on a high level of quality in everything we do. We handle all aspects of your asphalt paving project, including hauling away and disposing of all waste and debris, so your property is left in pristine condition when the job is complete. We also value the environment and utilize appropriate recyclers for recyclable waste. 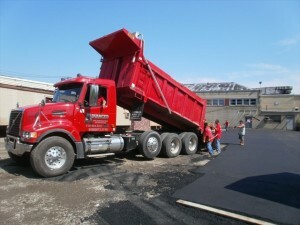 Need Professional Asphalt Paving Services in NY or NJ? Contact Us Today! For more information about our quality residential and commercial asphalt paving services in Staten Island, Brooklyn, Manhattan, Northern NJ or Central NJ, including driveway paving, parking lot paving, pathway paving and roadway paving, call us today at (718) 984-7483. If you prefer, you can contact us by filling out the form on the side of this page and we will get back to you.